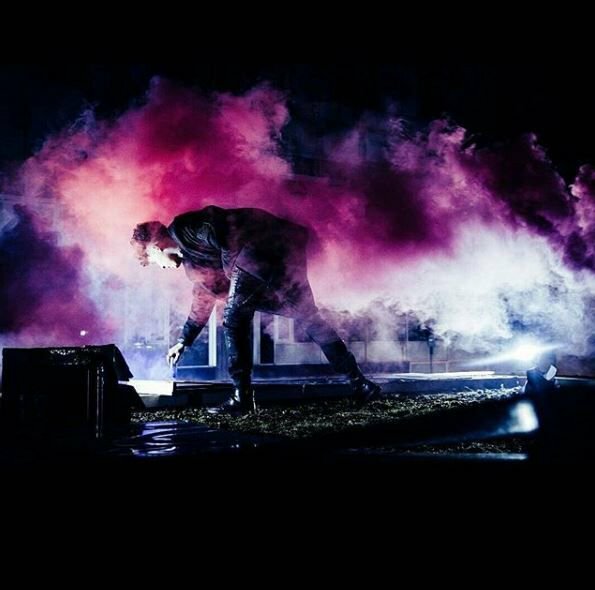 PLUS Smoke and Smile performance by Marcus Dove at Last Friday on 30 November. 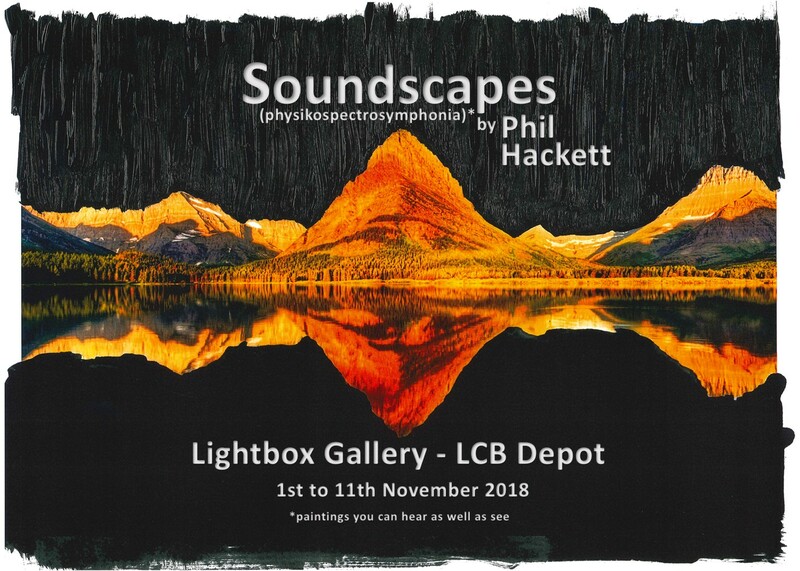 A series of large framed photographs of reflected landscapes in still lake waters that have been overpainted by the artist to create soundwave shaped images of nature. These soundwaves are created from the actual landscape outline created by the reflection in the original photographs. These soundwave shapes are then converted electronically from a visual reference into a sound reference that is then playable for the viewer to hear by the touch of a button while observing the work. 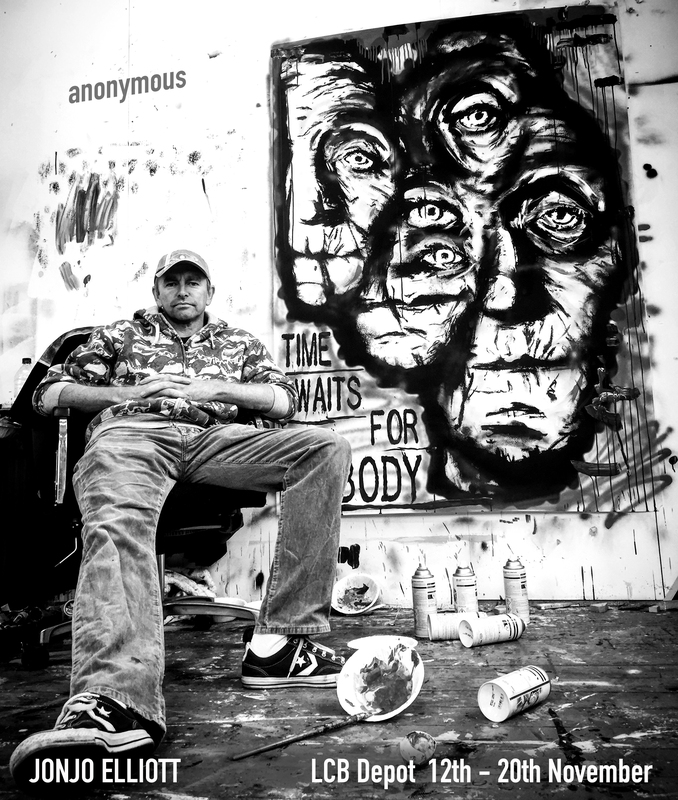 Jonjo is a multi media artist who’s CV includes solo shows and exhibitions in the UK and abroad. His work is very structured in its research, planning, preparation and delivery and for this show, having a theme of anti-design, he has thrown that creative process out of the window, so to speak. In designing an exhibition for a gallery space, artists must consider their approach to creation, they should have a solid plan of what they intend to make and they should ideally work with the gallery to deliver their vision. when it happened, whenever the creative opportunity arrived. His only rule was to allow freedom to take over and see what happened. Skulls have a strong connection to the theory of Memento Mori or 'Remember Death' which is a medieval practice to reflect on mortality, especially the transient nature of all earthly goods and pursuits. Considering these ideas Tim will create paintings of skulls within Lightbox. 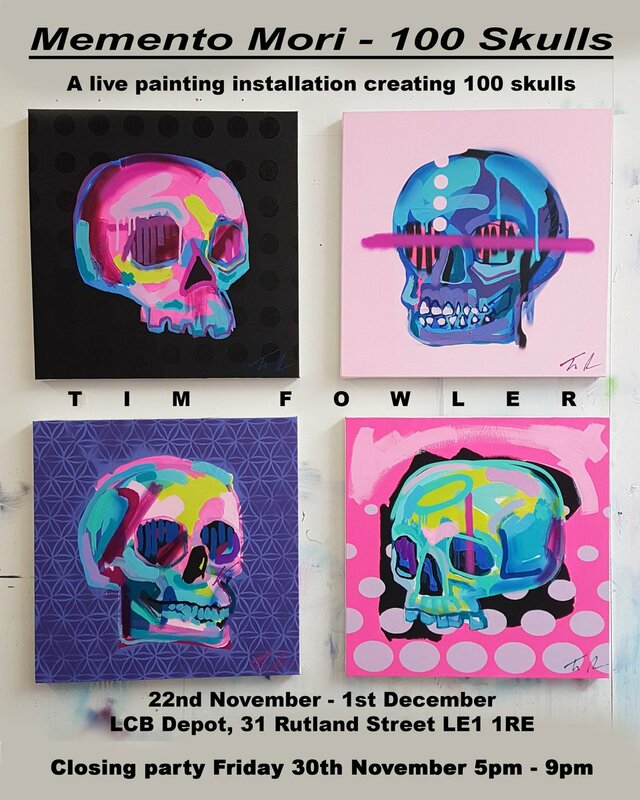 Visitors are welcome to come and watch Tim paint live within the space and after a week all the works will culminate in a 100 painting installation. When our Lightbox gallery door's open and Tim is inside at work, pop in to see his 100 Skulls progressing! Other subjects touched upon within the work will be mass production and its effects on the art market, the commercialisation of ideas and the transient nature of trends within design. Once the exhibition is over visitors will have the opportunity to bid on the skulls to take a piece of this ambitious project home.